To be the best, you need to train with the best. Receive world class training from our team of internationally qualified franchise trainers. 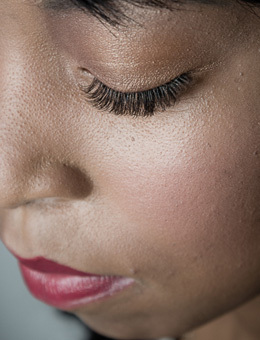 We have Internationally Qualified lash therapists that own and operate Luscious Lashes Training franchises in various countries and throughout South Africa. 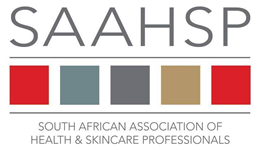 Our South African Franchise Trainers have an average of almost 10 years experience performing the procedure and training our eyelash extension techniques. Training locations and dates are updated on a regular basis as shown at the bottom of this page. Lesley-ann, co-founder of Luscious Lashes International and Head Trainer, is featured as a LASH MASTER in the second volume of the international best seller - Lash Masters - released in April 2015. Lesley-ann is the only South African and one of only 30 people from around the world to be recognised as a LASH MASTER in these publications. The book is available from Amazon. All Luscious Lashes Trainers have international certification in Classic and/or Volume application. Our trainers have been trained by world class lash educators and have practical application experience so you can be assured that the techniques contained in the courses are on par with, if not better than, techniques taught elsewhere in the world. To the best of our knowledge, there are no eyelash extension companies operating in South Africa that have all trainers holding at least one International Certification, so you are assured that you are training with the best. We continue to invest in training to ensure that we are up to date with the latest techniques. Before spending your hard-earned money elsewhere, find out where the trainer has been trained and ensure that they are not using outdated or second hand techniques that they learned from us a few years ago. Our Classic Course has received international accreditation through Lash Inc.
as well as SAAHSP Accreditation as an approved short course with CPD Points. Receive our comprehensive training course, Classic Kit, marketing material, promotional website listing and internationally recognised certificate to ensure perfect and damage free application. The workshop fee is R5500 and includes the Kit. Training alone without the kit is R3460 per delegate. Course fees may be paid off over 6 or 12 months. Contact us for more details and our monthly training specials. An exiting new course to restore damaged eyebrows due to over plucking or enhance eyebrow shape. The course runs for 2 days with prep work required 2 weeks in advance. Please follow this link for more information. Let your creative juices flow and learn advanced classic techniques. Contact us for individual courses training specials. The advanced classic course is a great bridging course to Volume and teaches you how to work with the high performance adhesives, different lashes and lash styles to create a damage free, multi-dimensional effect with the classic technique. Our Russian Volume Course has received international accreditation through Lash Inc. Course fees may be paid off over a 6 month or 12 month period using your Credit Card Budget Facility or you may finance your course with Mobi Cred. Please let us know at the time of booking if you would like to finance the course by using Mobi Cred or the budget facility on your Credit Card.